Nahlah Ayed on the high stakes and antics in Lebanon's election. Of all the electoral gimmicks that Lebanon's rival parties have employed in the run-up to Sunday's parliamentary vote, nothing was quite as quaint as the caravan that wound its way through Beirut's famed Hamra district this past week. It was just a handful of cars, adorned with posters for The People's Movement, an opposition party. Along for the ride was a latter-day version of a town crier — a mini-truck carrying six huge loud speakers, blasting popular music. Occasionally a man's urgent voice interrupted, emphasizing the party's simple motto, "Raise your voice." Most people on the normally bustling Hamra Street seemed to cringe at the aural assault. But it certainly fit in to a campaign blitz that has employed everything from the internet and slick TV ads to cellphone messages, flashy billboards and swanky rallies beamed daily into Lebanese living rooms. In all cases, the aim seems to be the same — to drum up new votes for what promises to be a very tight contest that may well decide whether Lebanon draws closer to the West or moves more into Iran and Syria's orbit. The results will not only shape Lebanon's future for the next four years, but they may well affect the region's as a whole. After years of street violence and assassinations, this election is so important that it has drawn the direct attention of people in Washington and all the way to Moscow. Virtually every foreign official travelling in the region recently has made Beirut an absolute must stop. Meanwhile, on the ground, the rival parties have spared no effort to get their messages out. The Lebanese are master sloganeers, even in ordinary times. But in this election there appears to be much more advertising than before — and it's also far more creative. Some of it toys with famous quotations (like the ruling March 14 coalition's "I think there14 I am" campaign), or draw on sayings of revered leaders from the past. It's now difficult to walk a few blocks here without being bombarded with multiple, often-conflicting political messages. "You didn't give them your land. Don't give them your vote," says one ad mounted by the Lebanese Forces, a Christian party currently in the ruling coalition. A few metres away — courtesy of the rival Free Patriotic Movement, a Christian opposition party allied with Hezbollah — a gorgeous young woman looks coyly over her shoulder with the words: "Je vote orange," in reference to FPM's chosen colour. The same party was severely criticized for an earlier poster campaign aimed at women — "Be beautiful and vote" — which some found sexist and derogatory. 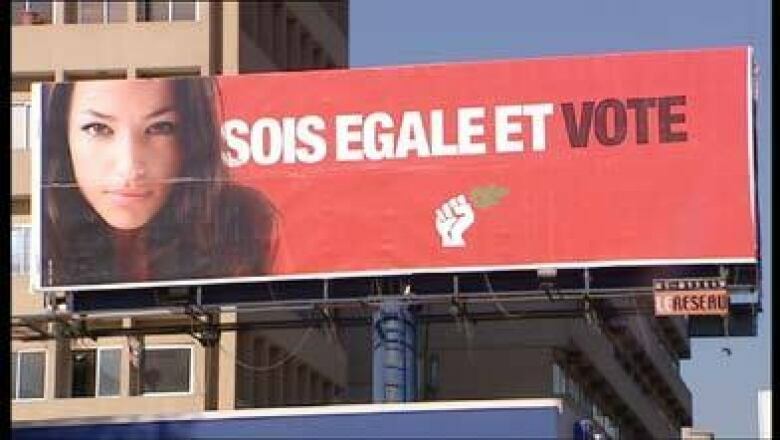 And which gave rise to an advertising counterattack from the Western-backed coalition involving an equally beautiful woman, "Be equal and vote." Clever. But does it translate into actual votes? Not really, says Ramez Maluf, professor of communication at the Lebanese American University. "The vast majority have already decided," he suggests. "But these campaigns go to the heart of maintaining interest, to spur people to vote and to go to the booth. That's why they try to be fun and try to assert a certain image." For Lebanese, this election is the culmination of several years of instability and political turbulence that began with the assassination of former prime minister Rafiq Hariri in 2005 and took the country through a series of huge rival protests, political bombings and shootings, and a month-long Hezbollah war with Israel. That in turn led to a devastating parliamentary stalemate and a mini-civil war that ended with the Shia Muslim, Iran-backed Hezbollah and its allies gaining veto power in Parliament. Slowly but surely, those events split the country down the middle and have made this vote a time for reckoning. There are two competing visions for Lebanon today. 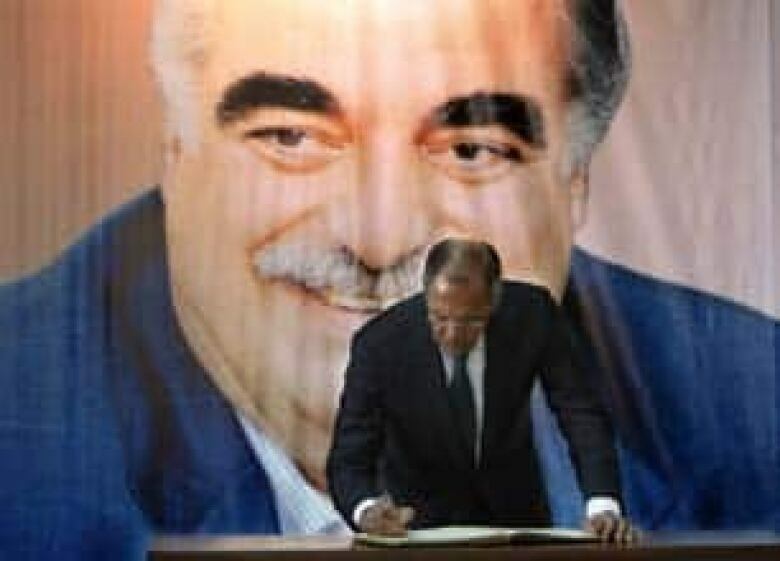 One is the current governing coalition of mostly Sunni Muslims and Christians, swept to power in the wake of the Hariri assassination and backed by the West and countries like Saudi Arabia. The other is an amalgam of the Shia-Muslim Hezbollah and the Christian FPM, supported by a number of smaller parties, which is much closer to Syria and Iran. Given how tight the race is expected to be, both sides have given new meaning to the concept of "negative advertising." 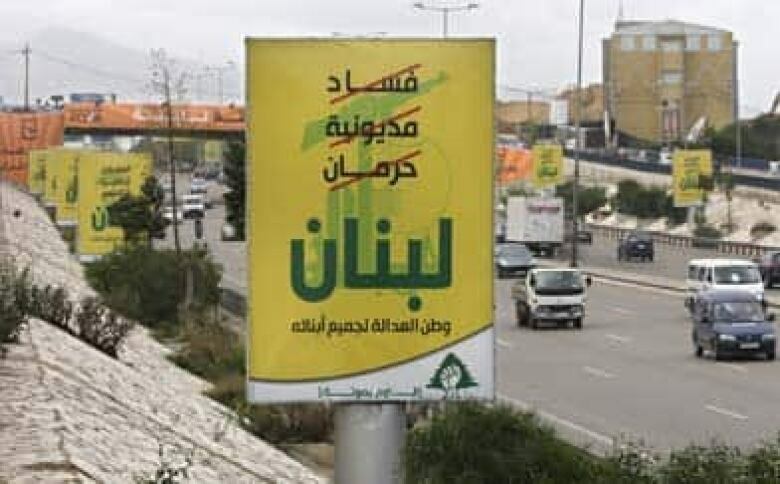 The Christian Lebanese Forces party plays up the violence of the past few years in its posters and TV ads in an effort to dissuade voters from backing its rival FPM — and by extension, the well-armed Hezbollah. The implication is that voting for Hezbollah and its allies is a vote for more violence, while choosing the current majority means peace, freedom and prosperity. For its part, the other side warns that keeping the same party in government means more corruption and bad management of the country's finances. As well, the Hezbollah-led opposition implies there will be meddling by the West and, perhaps, down the road, peace with Israel, which Hezbollah and a significant number of Lebanese categorically reject. Both sides draw on images of past violence, including that committed during Lebanon's 15-year civil war (1975-90), to suggest what could await the country should the other side win. Though many Lebanese have had enough of the political jousting, there's some agreement at least that all this electioneering fosters the kind of debate that is absent in most of the rest of the Arab world. "I think that it's fantastically healthy, an amazing display of democracy at play," says Maluf. "It's a display of people really trying to win over the other side and taking the vote seriously. "I'd much rather have that than people shooting at each other." Citizen Bytes: If you're a Canadian who voted in the Lebanese election, send your story.